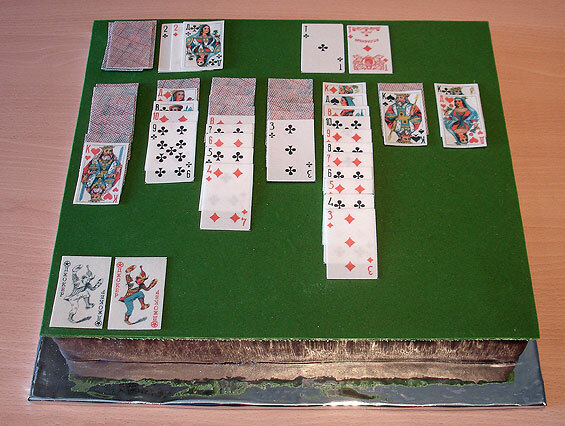 All you see below are cakes that can be eaten without any part of it left. No plastics or any other artificial stuff is being used – everything is eatable. 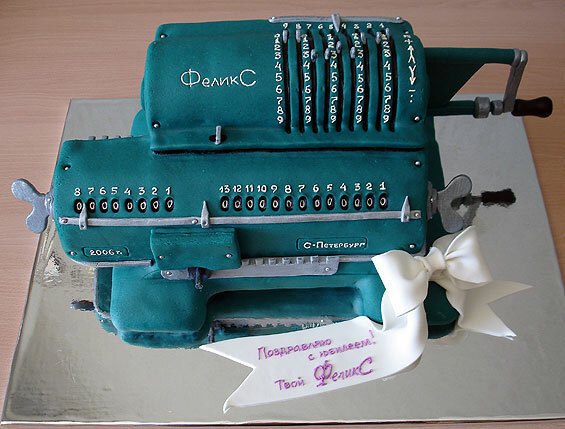 All this cakes by Zhanna from St. Petersburg. 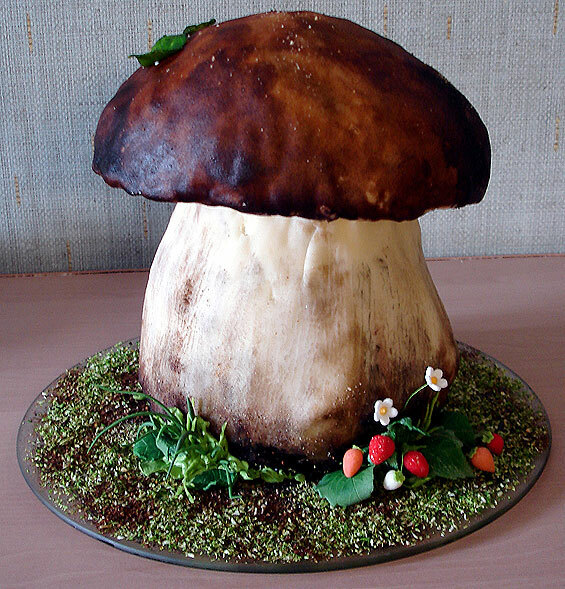 I wanna a cake made in the form of phallus! 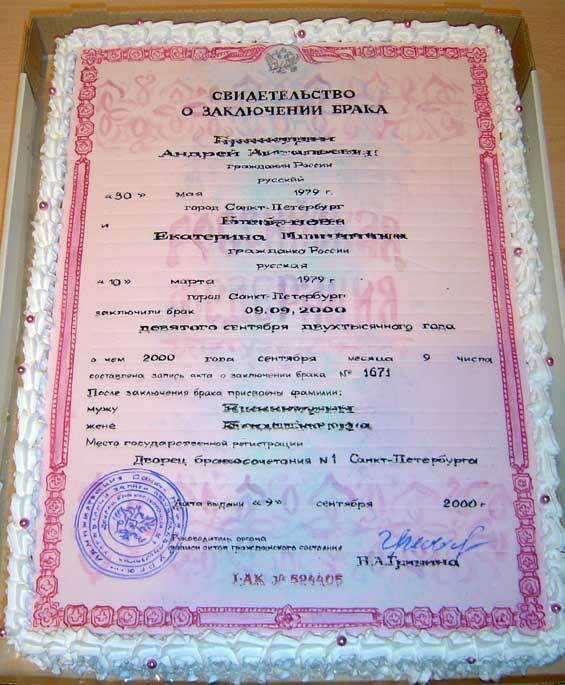 I love the wedding certificate cake on the first page, maybe we could get one when we get married!! A HUGE phallus will be waiting for you when you get home honey. However, I don’t think it will be made of chocolate. It is going to be something much better!!!!! Boris,are you gay,too, or are you just joking? Well,I guess you are joking anyway,but would a heterosexual man make such jokes? By the way,is gay marriage allowed in Russia ? One day, me and Sarah, we will truly express our desire and passion for love in our beloved country!!! 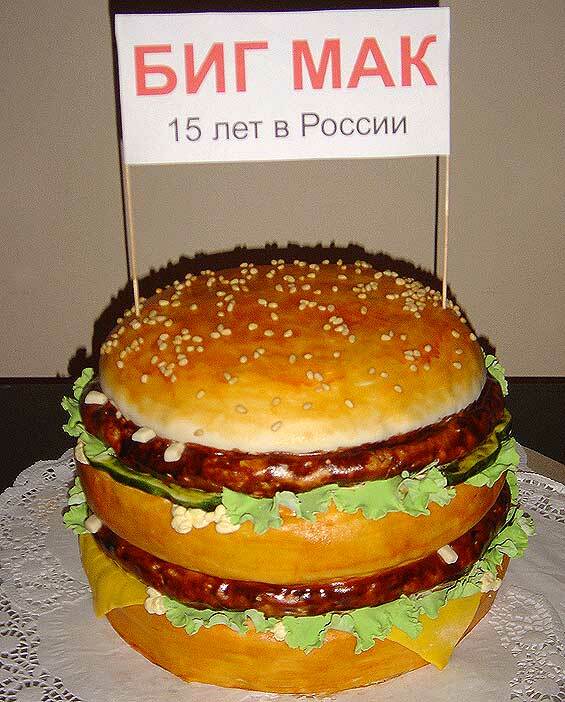 Oof… I don’t think I could eat a cake that looked so much like a *burger*, and then it would taste like… *cake*!! This is amazing! 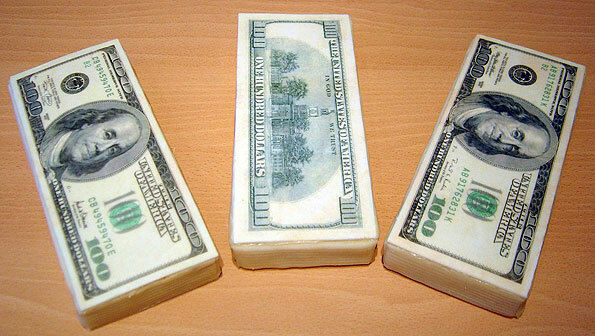 These cakes are works of art. 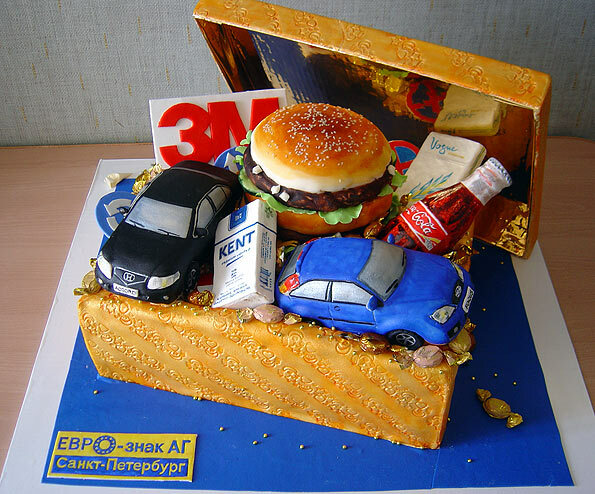 I’m an aspiring cake artist… these cakes are truly incredible! Nice work. They all can’t be real cakes. They are brill! Man, I haven’t seen you on here for a while either. been lurking, too lazy to think of something worth posting. Awesome! I bet some of them taste worse than they look out. 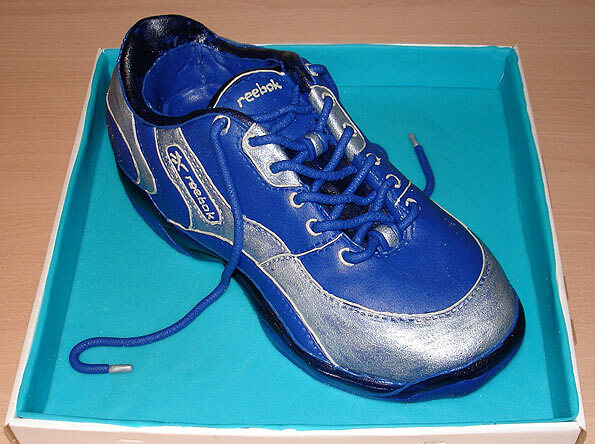 And yes I would never eat a reebok shoe even as a cake. that is some sweet looking cakes! Wow! how do I get one? 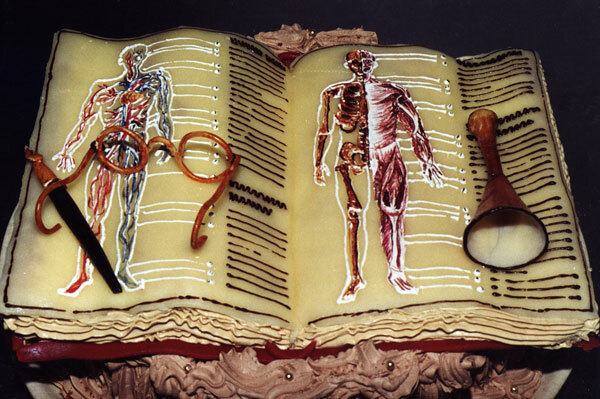 i think after a fashion, you surpass the realm of cakes and venture into the territory of vaguely edible sculptures. 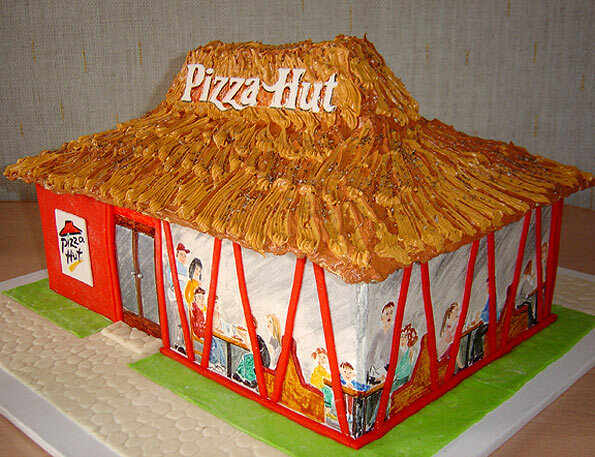 theres no way most of that are actually made of cake or at least most of it isnt. I believe that they are all completely edible, either cake, candy, frosting, ganache or something like that. 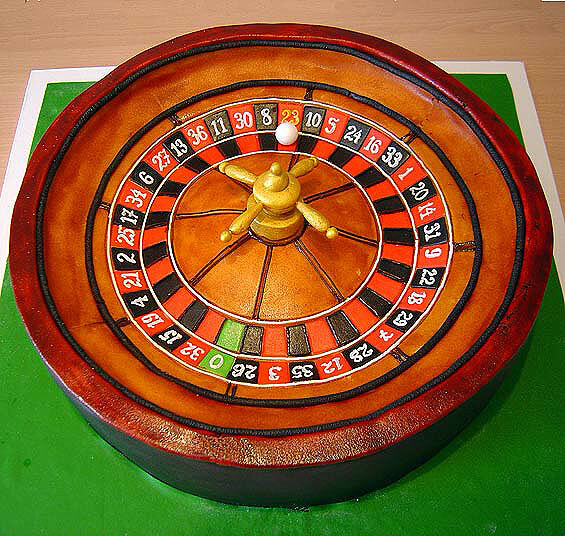 We make cakes that do Not look like cake also, and they are 100% edible. Nice work by the way. They look awesome and put ours almost to shame being only a couple years in the making. Rusians must really admire and respect the United States! That is very nice. 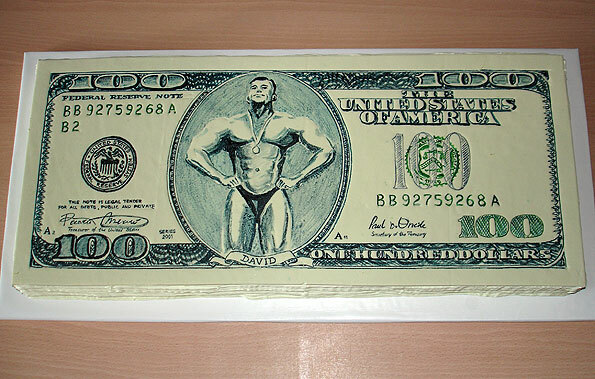 I don’t think I have ever seen cakes with American themes like Pizza Hut, Pepsi, McDonald’s, and studly looking guys on US monetary instruments. USA is STRONG! US are strong but Russia has a huge potential hidden in its people. In contrast to USA and Europe with sterilized wannabe or brutal idontcare ignorant mindsets. What does it mean? This means that Russia is far more unpredictatble than US so I want you to tell same things in 10 years. That looks like Gorby cutting the rug and tearing up that cello. He’s outta control. 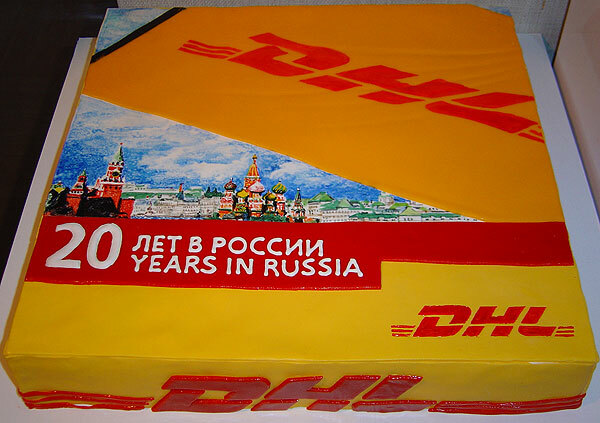 Its more likely that the brands themselves have ordered these cakes. 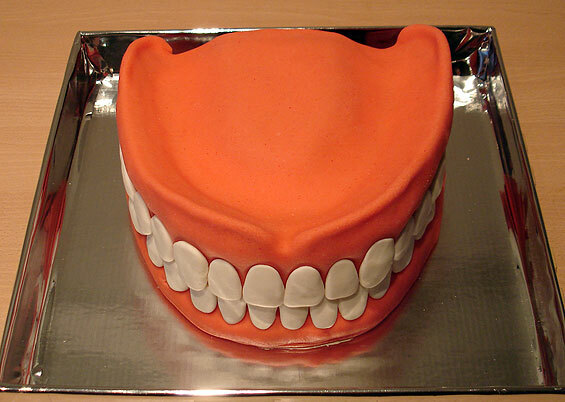 Does anyone else see anything odd about a very sugary looking cake depicting a set of nice healthy teeth? Now this takes the cake! Okay, I had to say that. No one else did after 30 + posts. P.S. for those of you who speak English as a second language, that is a coloquial expression. I would asume they are for corporate events. Such as: anniversaries, conferences, staff parties, etc.. I was thinking they were created by a caterer that works closely with a casino that often hosts corporate events. Maybe Pepsi or Pizza Hut would. not so strange, you need to be more imaginative and open minded. They are awesome!!!! Sorry if i was not funny. But i don’t think its anti-semitic. I think its somekind of joke for a person who is Jewish. And probably from Jewish himself who ordered that cake. People,who do not speak Russian,will not know what you are talking about. 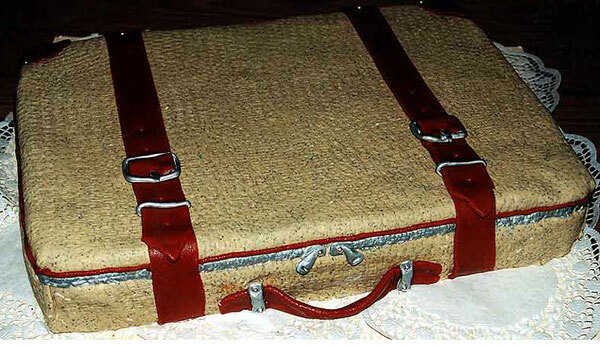 Or is it better to keep it as a secret what is written there? Just some lemeass cheap attempt to make fun of the jews. As a representative of the United States of America and a concerned citizen of the planet Earth, I must categorically state that such sweets (pastry-like treats) can only represent what has become a society more decadent than our own. 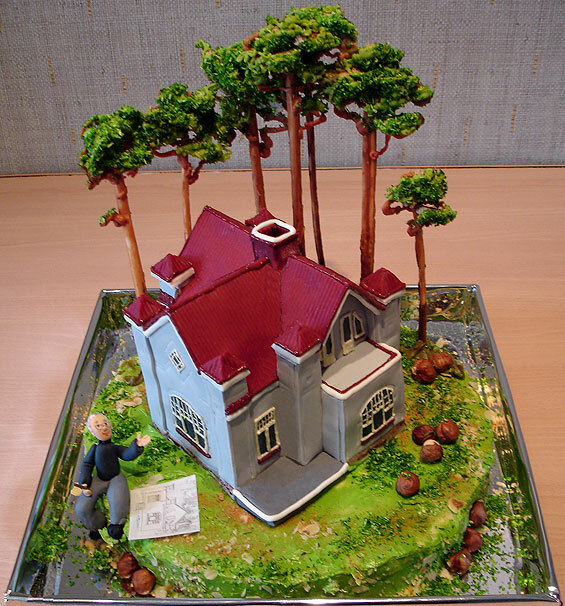 When forsted teeth stand for dental erudition and a tree laden ‘gateau’ stands for ‘home, how can we take life seriously or, better yet, have our cake and eat it too. This post was stolen by another blog and entered onto digg.com. We should all make comments on the story to note this. Icing, fondant, and a printer that works with rice-paper and vegetable ink. Add a little patience, and some practice. They are all very clever, and I admire the skill and time involved. But knowing how it’s done takes a little of the novelty off. and so, like the big kids on Christmas Eve, you decided to spoil the fun for the innocents by pointing out that there isn’t a Santa Claus. How sweet of you. Nice reflections on what Russian life became about! 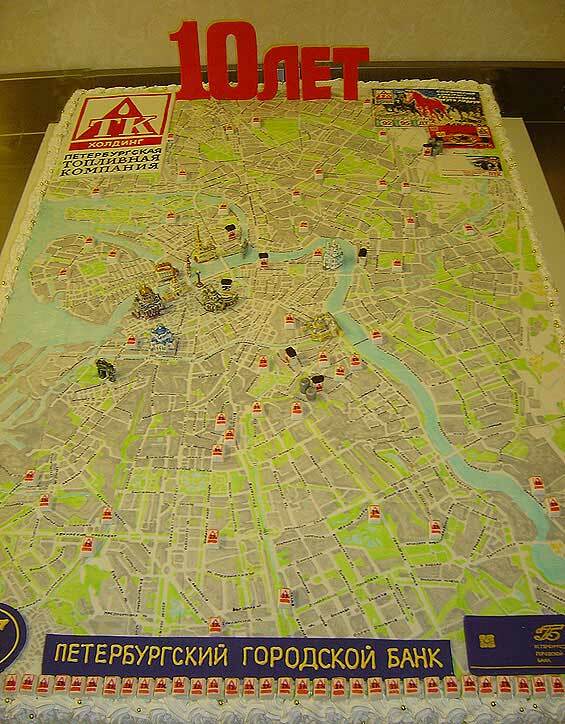 All essential elements of the Russian universe from re-mapping SPb to Russified American icons. Excellent social commentary! 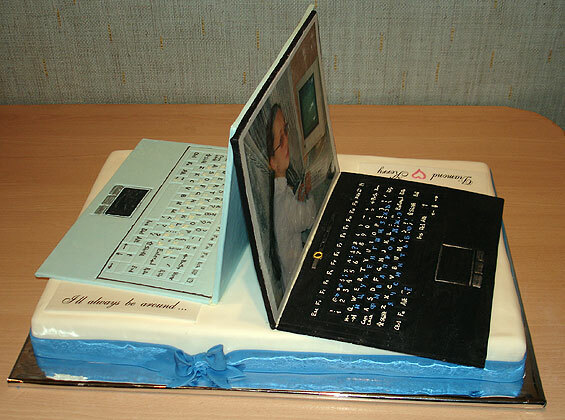 bokh lag rahi hai ummmmmmmmmmmmmm……………………………………………………………………………………………………………..
I’ve seen amazing cakes on the net before – but THESE? How can ANYONE actually bare to eat these? 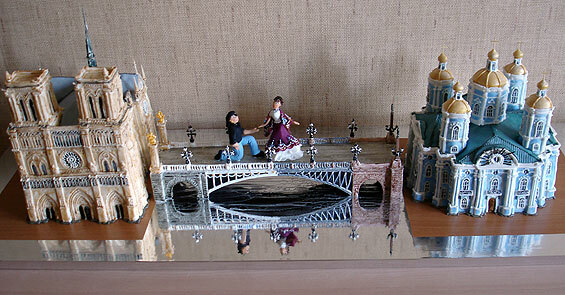 I wonder, how many hours goes into the “steel bridge”, for example… (#47) – or “the kitchen” (#39). I’ll have to look at them all again! Absolutely unbelievable gorgeous! I have never seen anything like these before. Thank you for sharing this. I am blown over by the skills of this person/people, very talented indeed. I will be looking at them again and again, and will be telling others about this site. I no longer feel a bitter guy . Thanks a lot for helping me! Very Impressive! Such attention to detail. 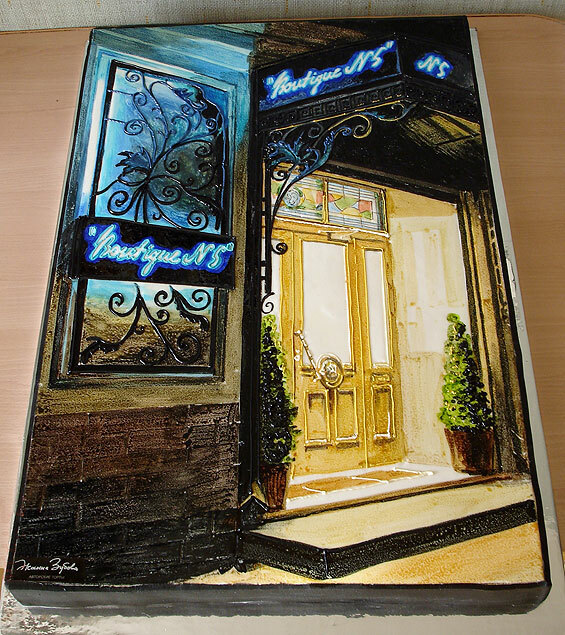 The time, talent, and patience it takes to do these beautiful works of cake art is so appreciated by those of us who Dabble in the art just for the love of it! I was so glad to read how the maps and the tiny writing were achieved! I couldn’t imagine how in the world that was accomplished so perfectly! On a scale of 1 to 10…you rate a million! WONDERFUL. WHAT AN ENJOYFUL TO EAT ESPECIALLY HOME FURNITURE STYLE. MMMMMM. I LIKED ALL OF THEM. good luck. this site is very beautiful. I am totally amazed. 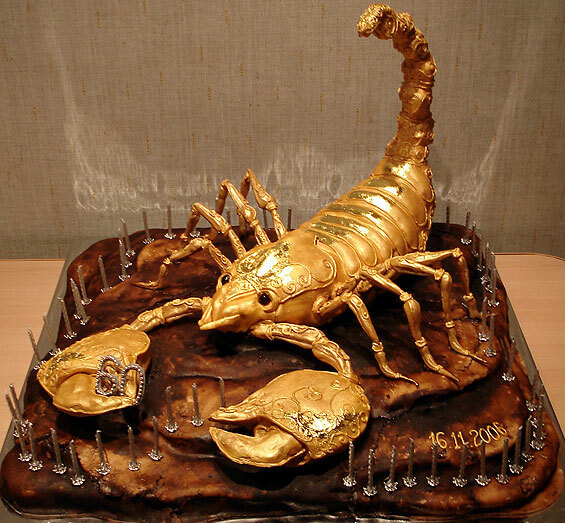 Lots of fantastic cakes, og should I say art? You’re a master of cakes indeed. is RED colouring not bad for you ? these are really mavarlous cakes. 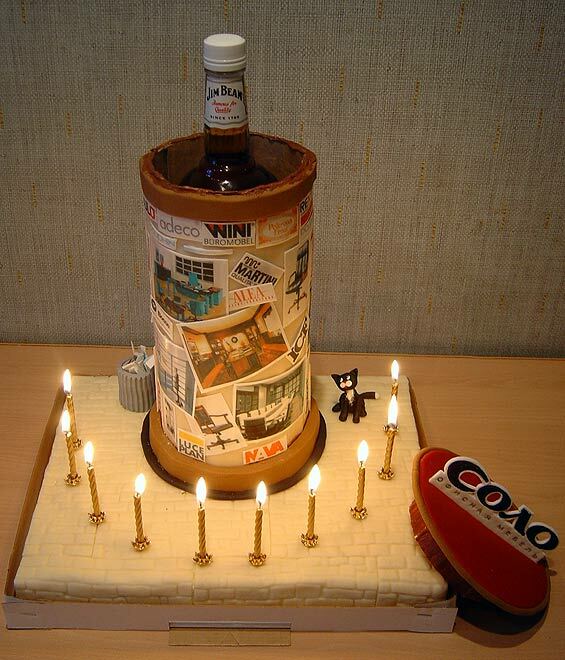 I do design cakes too but never in my widest imagination did i ever think up somethin like this. I must say it is very impressive can the art designers be reached? please let me know. 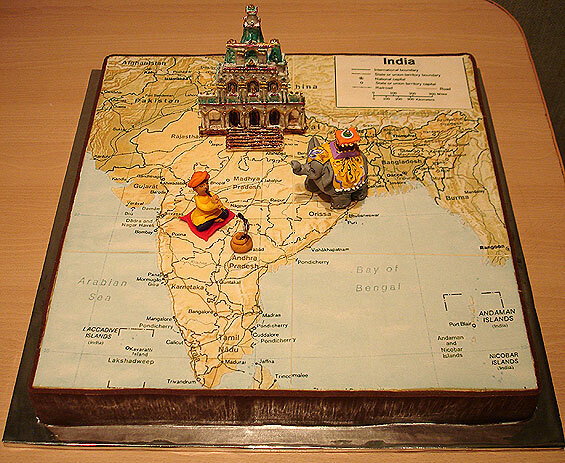 I do cakes too, but never even dreamt of such creative cakes. Your work is wonderful. I would like to see some more of your work. I bet you cant cease to amaze me. I have no words to describe how much I admire the work and creativity…………..and the patience. I think these cakes are masterpieces,we should appreciate uniqueness and talent when we see one.I believe we all should be tinkin of how to live as one no matter wat tribe,region or country we come from.I read thru all d comments and i saw just how much hatred we have for oneanother around the world.So whether Russian,American,Swedish,African or wherever on planet earth,lets show love,that’s wat life is about. With love from a Nigerian. Thank you my dear fellow Nigerian how nice the world will be with peace. It is amazing how cake matter has caused so much controversy. I also read through all the comments and was very displeased at so many of them. Any way let us continue to play our part by sending out the peace message. 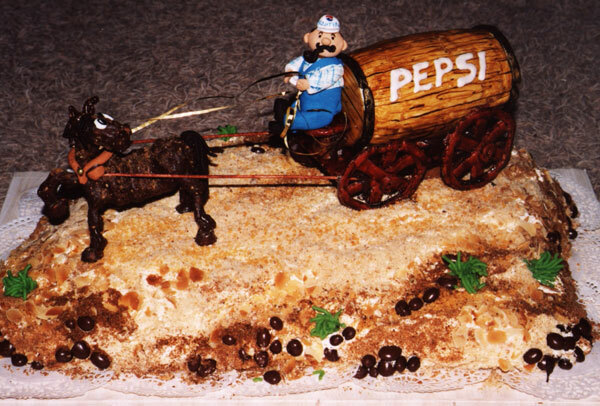 I, too, have dabbled in the attempt at cake decorating – and let me tell you, the artistry in these cakes blew me away! They are gorgeous. 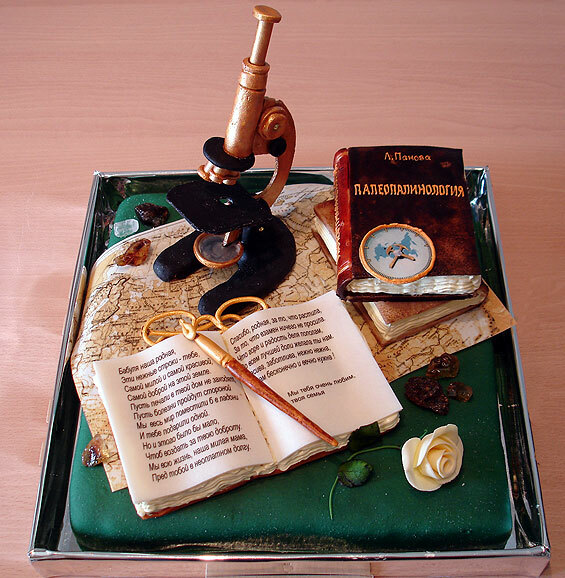 Too bad they are edible – they should be in a museum to be studied as works of art. I’ll never know how they did some of those beauties. Your cakes are fantastic! 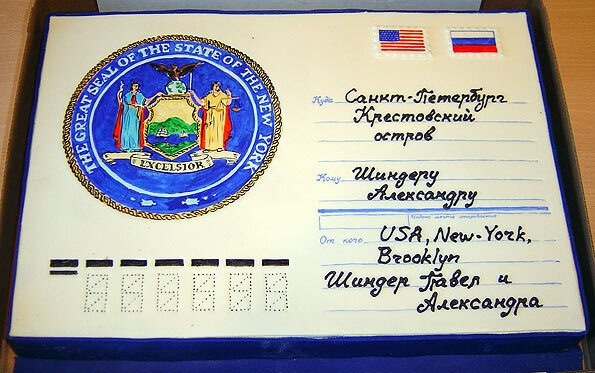 My husband is from Bulgaria and your cakes remind me of being there! Keep up your wonderful work! Your cakes are just great! I am from Mexico City and I am a Cake Decorating Teacher. I would like to learn from you. Unfortunately you are very far away. 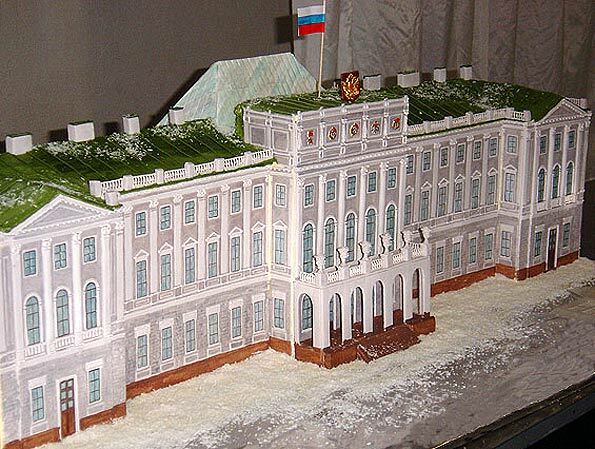 all cakes are very2 good and very artestics congratulations russians decorators im prour to be a viiwers in your cake decors and i have a good idea how to improve my decoratios thanks and good luck to all particepants….. INCREIBLE!!! 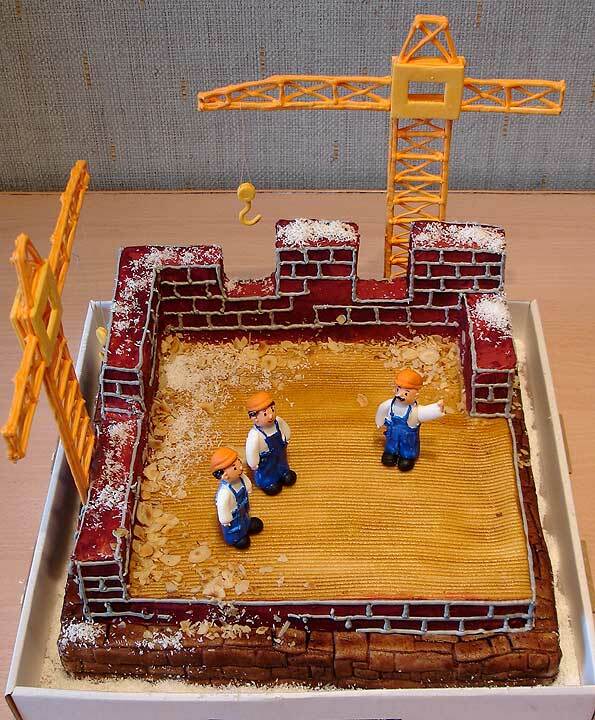 !, muchas feliciades por tan HERMOSOS TRABAJOS!!! !, Que Dios bendiga sus manos!!! You rival Mike’s Amazing Cakes! ……sorry Mike. Budite lyubesnyi, otvetite mne po etomy e-mail:[email protected] Ya zhivu v USA. Ya jochu poluchiti informaziyu esli viy prepodaete vashi cursi dekoraziy tortov. Kogda ya budu na kanikulaj v Rossiy, ya svyazhusi s vami. Esli vi prepodaete, skolko styat vashi kursiy. I was really very impressed to see your nice cakes. I wish I could make something like this. I really admire the power of your creativity. Really, it’s our Russian spirit. Your cakes absolutely are unbelievable gorgeous! I graduated from different Interanational Cake Decoration Courses but I have never seen anything like these before. I’m totally amazed. 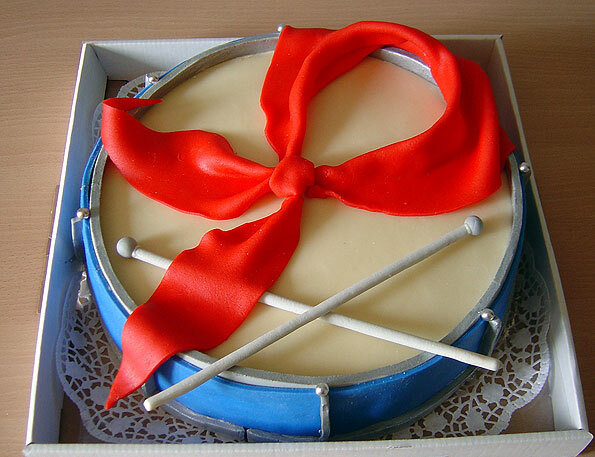 Your cakes are masterpieces, we should appreciate your Art. Our Russian people will let to talk a lot.Thank you for sharing your Art. I will be looking at them again and again, and will be telling others about your site. I would to contact you when I will travel home on vacation. Please answer me and provide me an information how can I contact you. As a former student of the pastry arts all of these I can tell you took time and alot of effort as cake is a tricky medium. All I can say is A-mazing 🙂 Great work, hope to see more from you! These cakes are products of very patient and talented people. 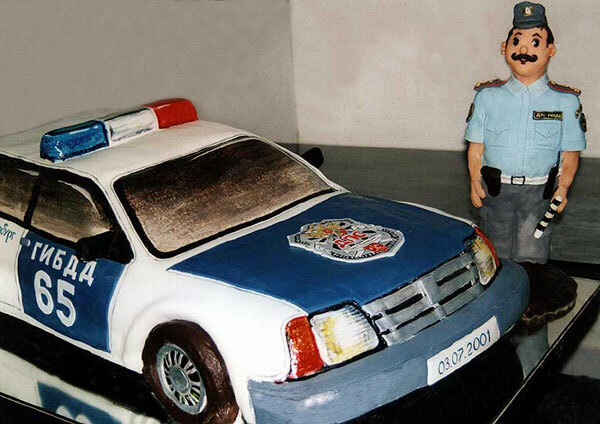 They rival Duff Goldman and his artists at Charm City Cakes in Baltimore, MD. I watch their show on The Food Network and enjoy seeing these kinds of creations come to be. Yes, the majority are created from edible cake, the rest is fondant, ganache, and buttercream frosting with some extra pieces as needed. 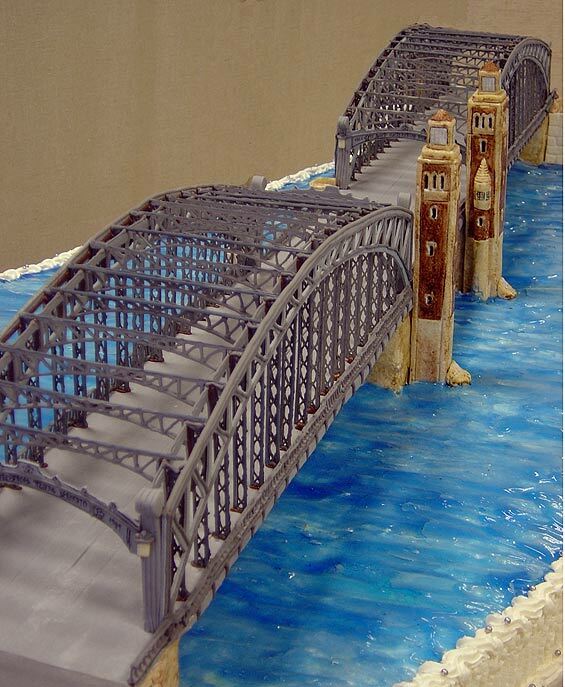 (I believe the bridge here has plastic pieces, but come on, be realistic, though I’m sure if challenged, some form of melted chocolate might be usuable! )I’ve never had one of Charm City cakes as I live in Chicago but these just put regular cakes to shame. Brilliant!!! What an Artist!!! 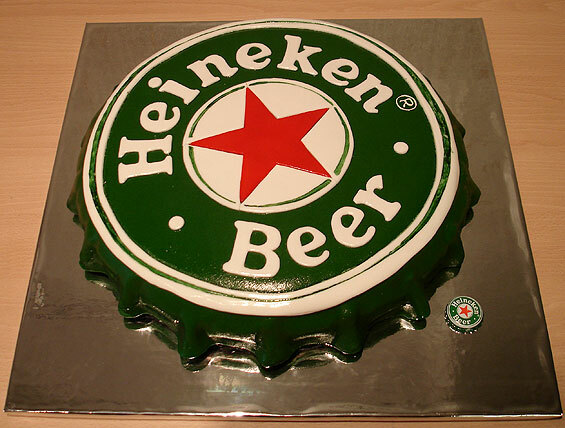 Wish you were in Phoenix, Arizona, USA, instead of so far away and I’d have you make one of your special cakes! Wish there was a way to have more people know about your talent! Fabulous!! what talent. how do we find you? Wow thats pretty amazing. I wonder if they taste any good. im guessing it smostly sugar. looks good, taste good, good pictures!! It’s look pretty good 🙂 I love it. Can I use 2 fotos to put it into my page ?? These are absoultely fascinating! 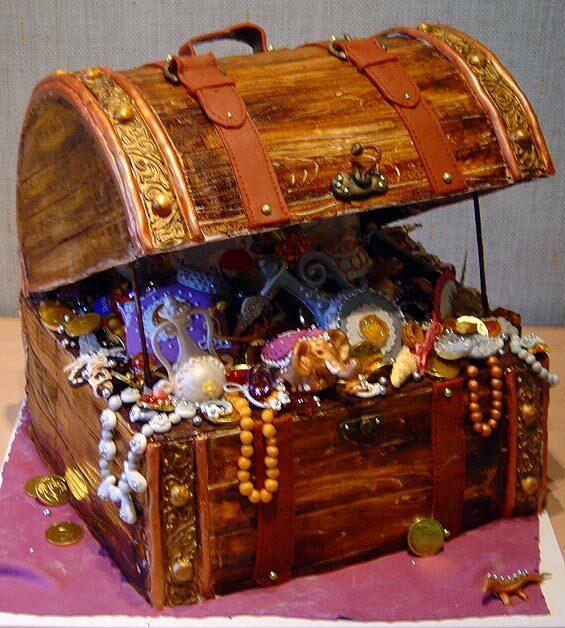 It’s amazing the amount of time that was put into crafting these cakes! 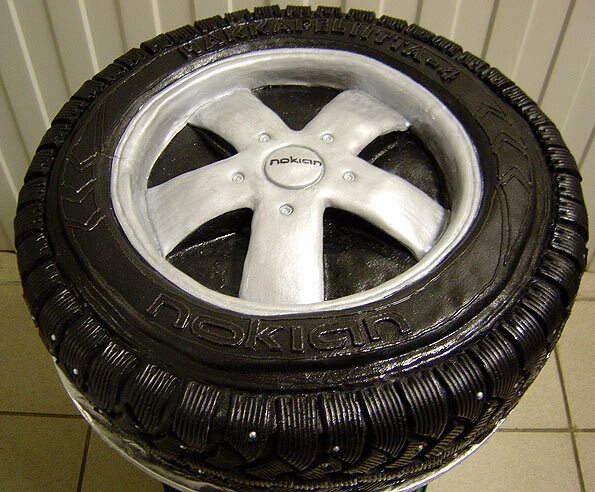 There are some people who are very creative with fondant and airbrushing. 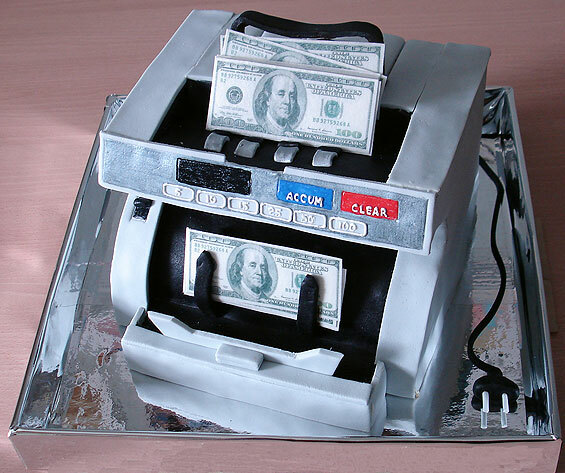 I have to tell you one and only truth, the cake you see is real and it will taste very good. I live in UK and to be honest I have never ate anything worse then english birthday cake. 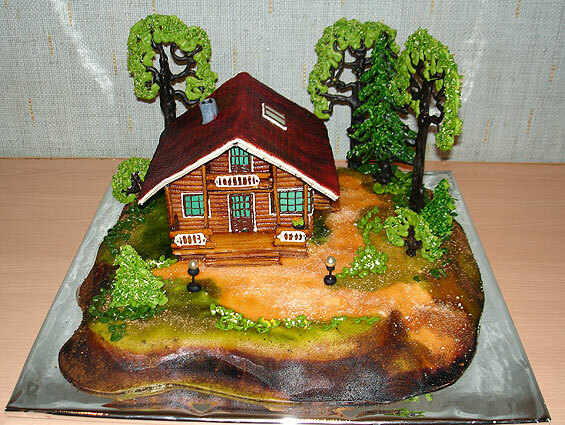 It is made of plain sugar and although it could look really pretty. 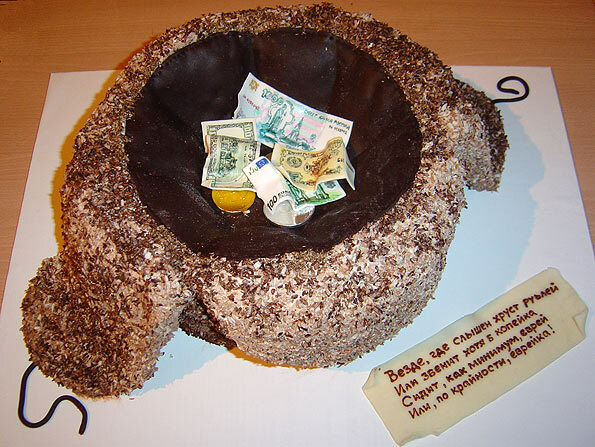 I admire Russian cakes, because the made with love and not only from sugar! These cakes are phenomenal! 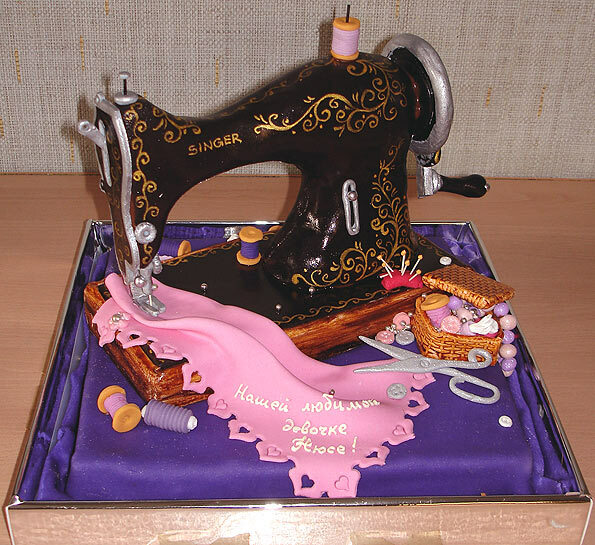 I have been making cakes for over 14 years and I now have something to aspire to. 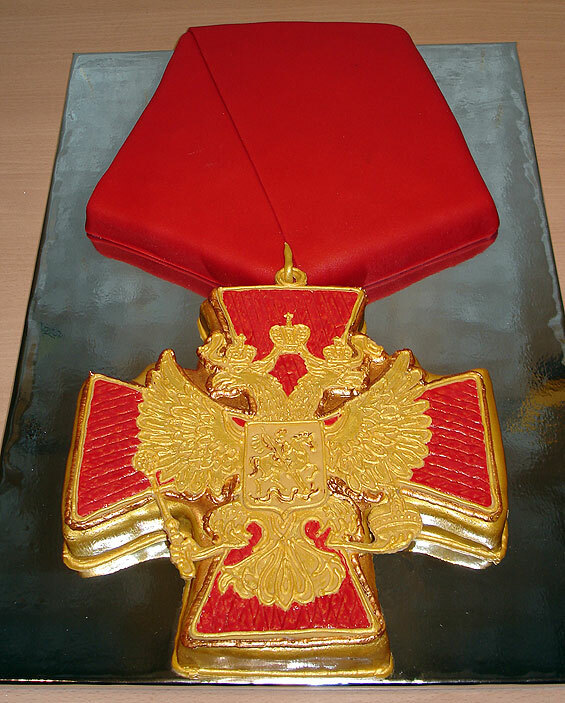 Congratulations to the cake artist as you have been a tru inspiration! Keep going and post more photoes when you have a chance. 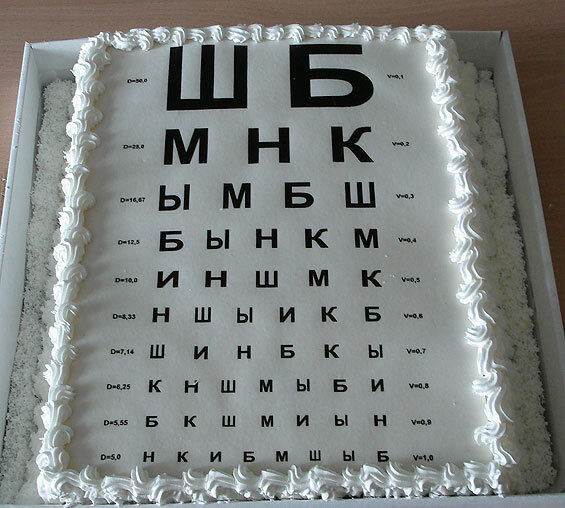 really i can not believe my eyes , it is very beautiful cakes . 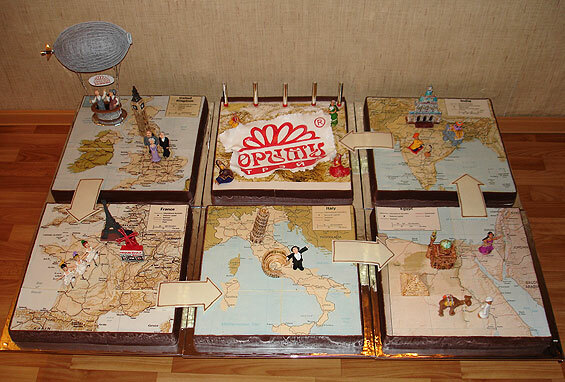 please , can any one tell me steps to do these cakes ? Wow! Stunning! 10Q for sharing…am digging and stumbling ya! this is a nice project. its good pages. nice cookie. its very good projects. this is prefabrik good pages. 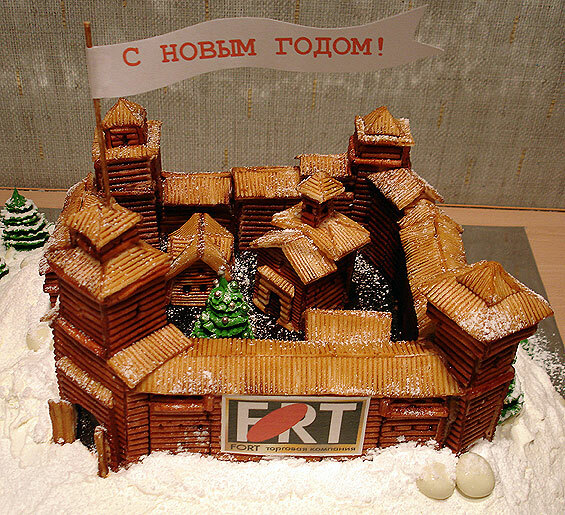 Cake fantastic! I want this. How much smarter as a delicacy? 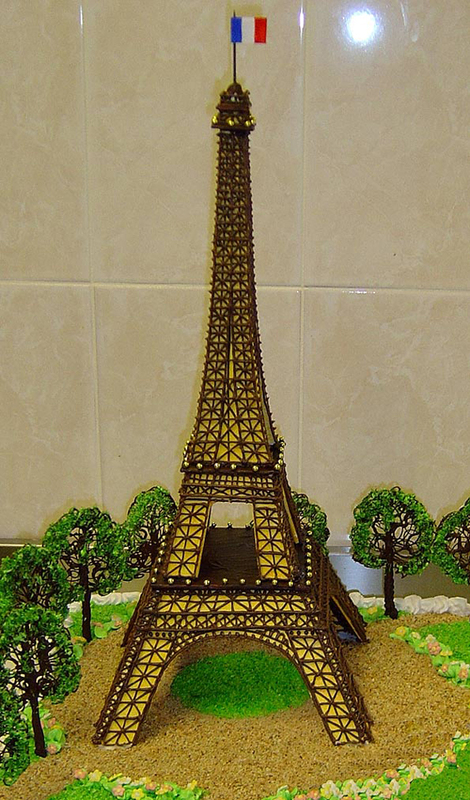 Would it be possible to know who is the Patissier?. they are wonderful .thanks for your efforts. These cakes are fabulous! I would hire this person sigh unseen if I were a prestegious bakery! Marvelous work!!!!!!!!! 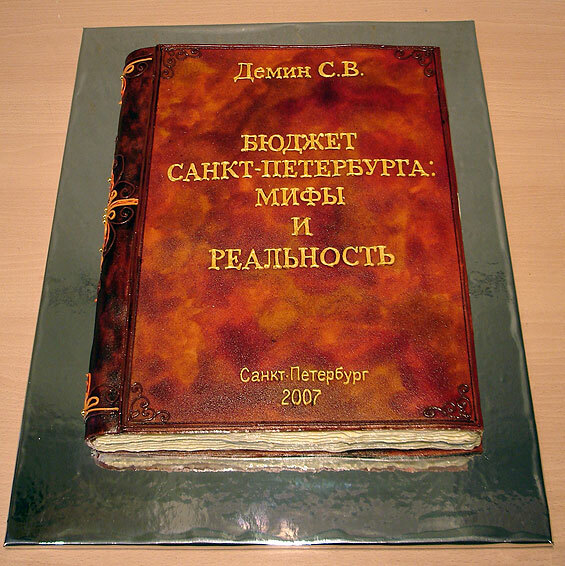 in soviet russia , the cake isn’t a lie !!! Man this cake is awesome.I think about this idea for my wedding. 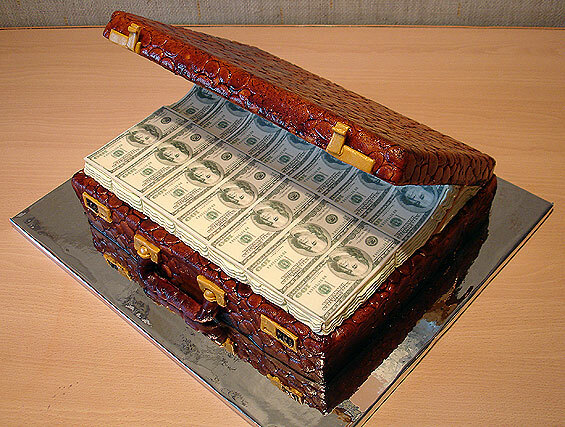 It look like a great cake. Yamee!!! These cakes are absolutely amazing! Even though I watch cake making shows on TV all the time, it still amazes me when I see the finished product. 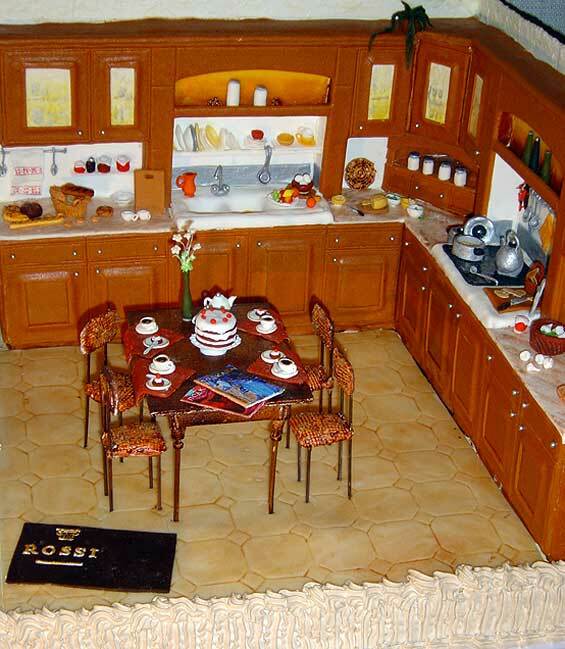 Favorite by far is the replica of the kitchen. Awesome detail! Thank you for such an amazing website and great content. Great pictures from great artist. And here is how we do in Serbia,Belgrade. Thank you for this brilliant post. I loved the thought you put in it. I really believe I’m going to look over more you have writen on the topic. Many thanks again! Very fantastic cakes. How much temper there are nedd to make some of it. those cakes seems to me very deliciuos. From a girlie man? That’s funny. 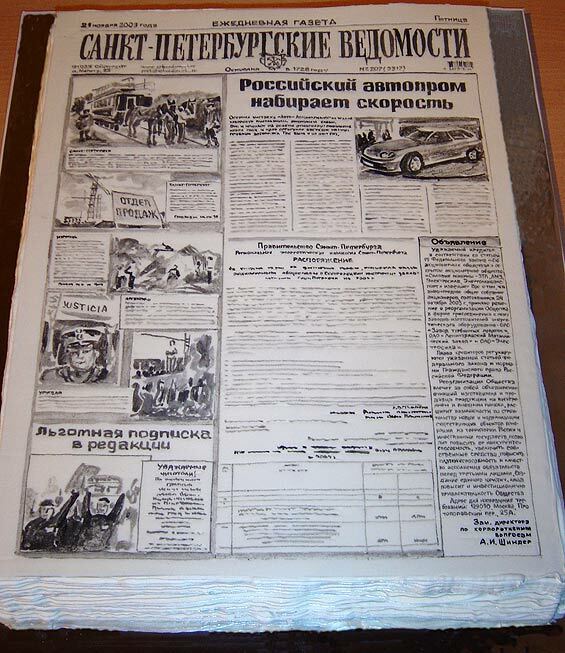 1 kg of this cakes costs 2000 rubles. It’s about 66$. 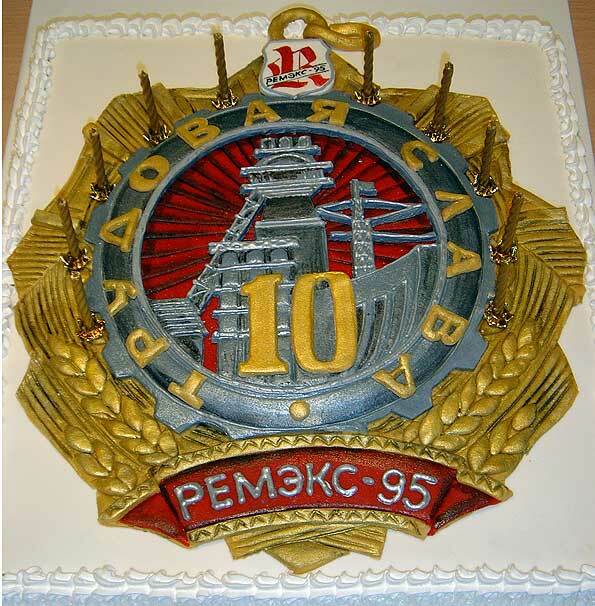 One cake weights about 10 kg. Encontré tu blog por pura casualidad y me gustó mucho el contenido que publicas. Hace varios minutos que estoy viendo tus artículos. Tu dirección ya está en mi Google Reader. Si estás aburrido, visita mi blog. Seguiré comentando! It is a real skill! Wow! 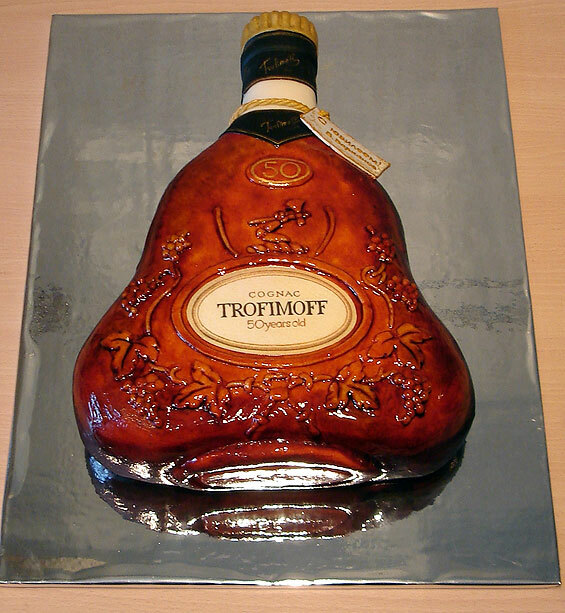 The cognac bottle cake is absolutely amazing! 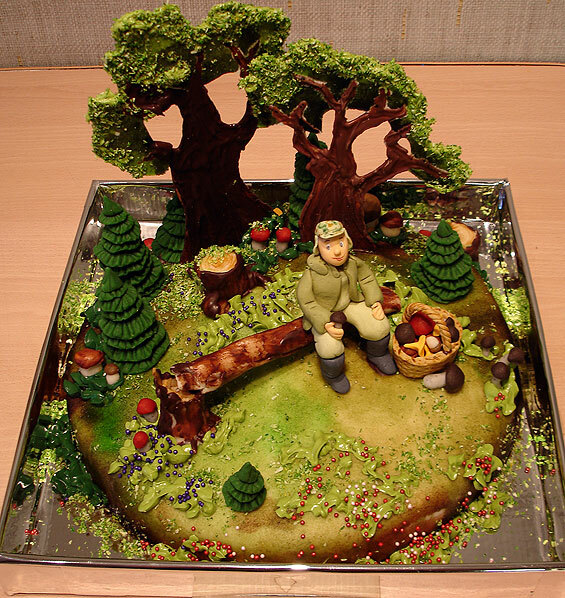 That is one of the most detailed cakes I have ever seen in my 20+ years in the industry. 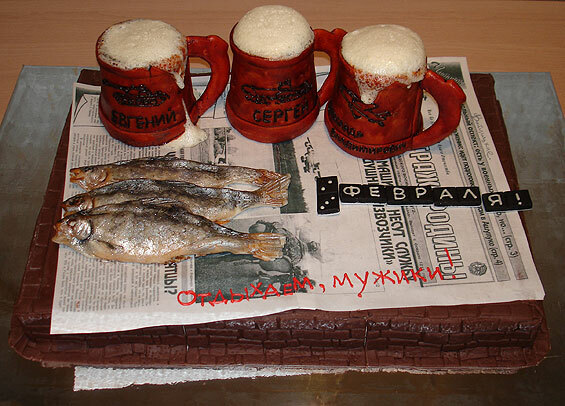 Best you could change the blog name title English Russia » Cake Art to more suited for your webpage you make. I enjoyed the the writing however. Sim, essas imagens são de bolos!!! 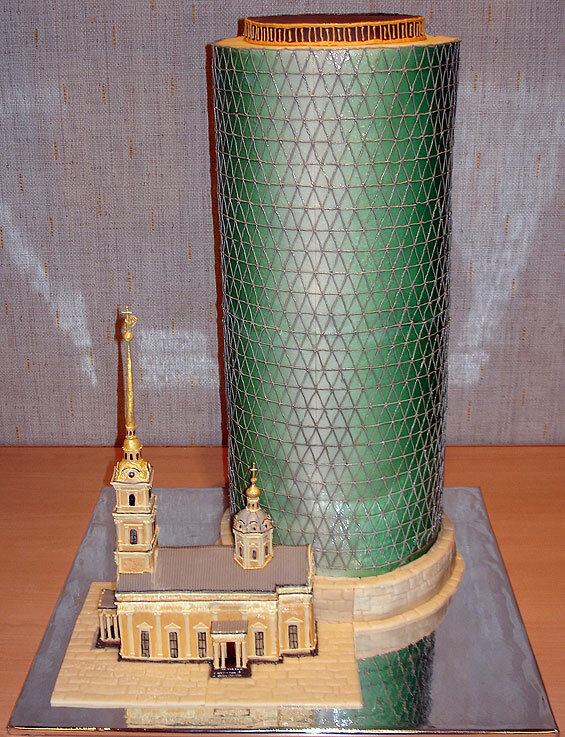 É um fabuloso trabalho realizado por alguém de nome Zhanna de St. Petersburg (não consegui levantar seu o site oficial). Tudo o que é usado na decoração dos bolos é comestível. Dariam ótimos e deliciosos presentes, não é verdade?? It is very nice! 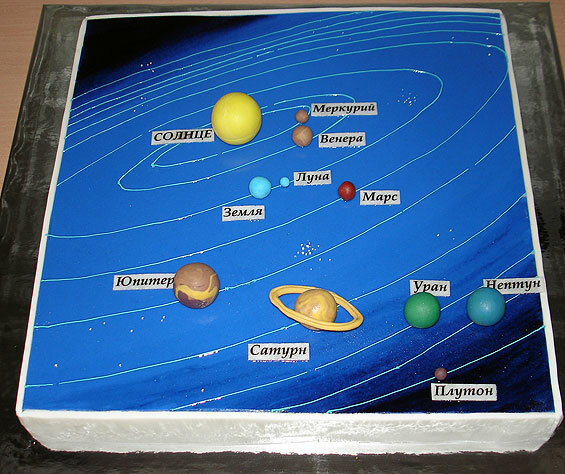 Where I can buy this cakes? 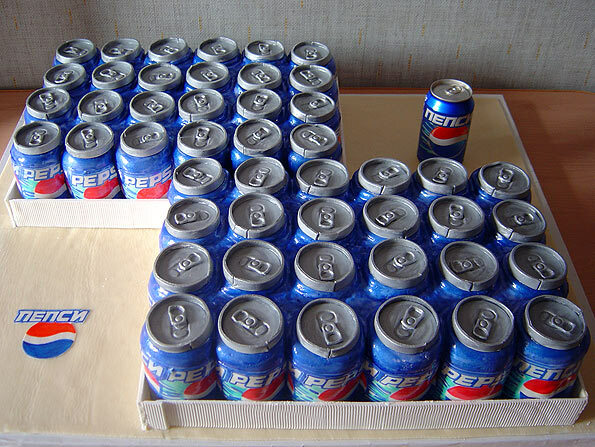 There is one real Pepsi can ( upper right side by itself) ?? please confirm because im 99.9% sure it is the real deal – the rest are edible. looks pretty good for people with useful advise everyone to read thanks administrator. Wow I love these cakes. I wish i could read Russian though. Wonderful writing, thanks too much! these pictures are the reason why me and my friend started a buisness. Look good? It’s nice knowing that how much the average Russian respects and admires other countries that truly have civil liberties. Ha ha, you are funny.